Start Your Day With Positive Thoughts and Intentions and Watch What Happens! 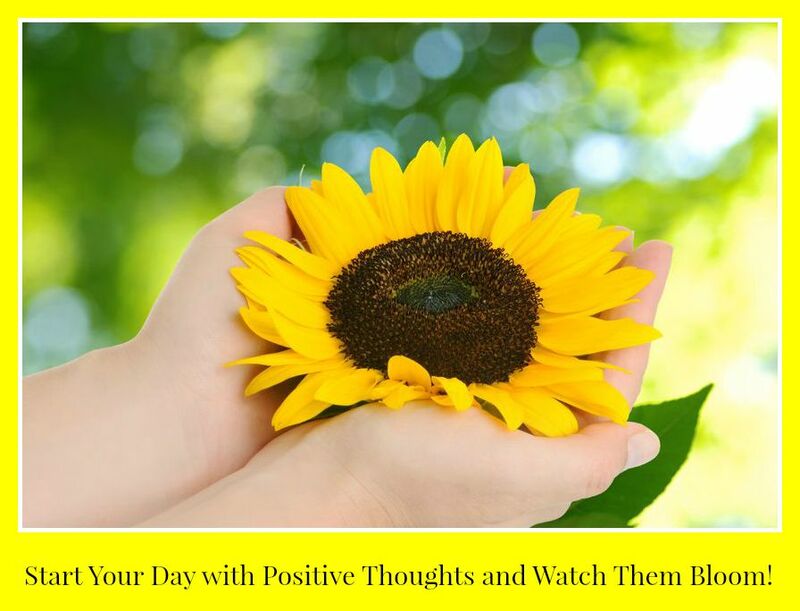 It is so true that when we start out with the intention of being positive with our thoughts and ideas throughout the day it goes so much better for us! We also spread the energy to others! Can you think of some people you just love to be with? Are those people happy and positive? It really does create a boomerang effect. It helps us be more creative when our minds are focused on a positive outcome. Good things happen when we can remain positive even in adversity. This week I challenge you to start each morning when you wake up with three positive thoughts and an intention. If you slip during the day into a negative thought pattern, replace it with a positive thought. Over time, it will come naturally to you as you change the way your brain thinks, and this will be reflected in your day to day living and feelings of well being. You can sign up for my free monthly newsletter on my coaching website above.